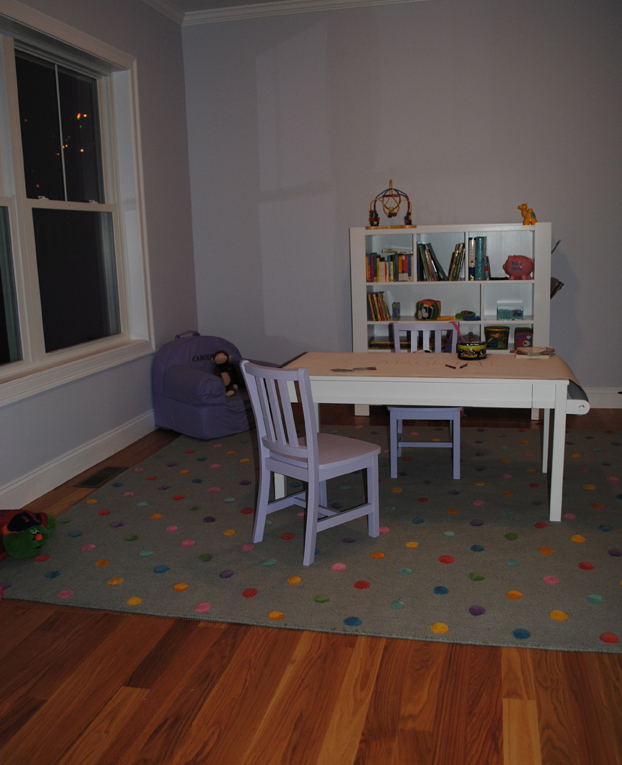 This week, I finally finished one of the items on my to do list to “finish” a room. All I needed to do was to hang pictures in my daughter’s playroom, which is now done. 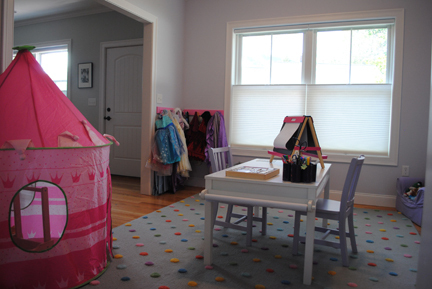 Now, you may be wondering why I bother posting these photos of my daughter’s playroom. It took me months to figure out why it mattered to me. Finally though, I realized that the rooms I focused on first are the ones that I pass by on my way to the studio. 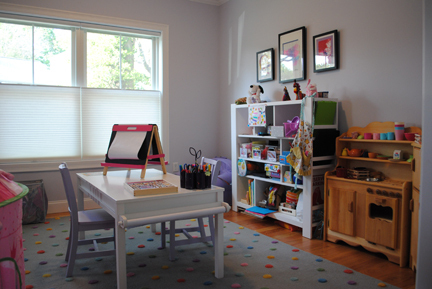 Each morning, I close the door behind my husband and my daughter and walk back through the kitchen, past the dining room, past the playroom, through the living room and up the stairs to my studio. I realized that it makes a difference in my outlook and my creativity if, as I make this journey, I see things that bring me joy rather than things that are on my to do list. It puts me in the right frame of mind for my work if my house is filled with things that I love and that is a little orderly. I haven’t tried this yet, but I bet if you’re suffering from a little creative block that tackling a room, bringing some order to it, and finishing it off by filling it with things that you love might just bring a breakthrough.